You are here: Home / Blog / Main Dishes / Ka Pow! It’s Kung Pao Chicken! Ka Pow! 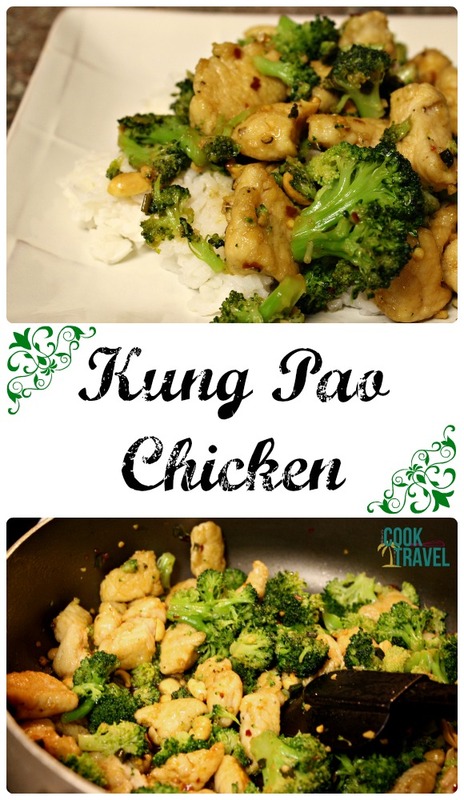 It’s Kung Pao Chicken! Sorry, I just really wanted to say ka pow followed by a karate chop when I was cooking and working on this post…not exactly sure why. 😉 So I made Kung Pao Chicken this week. I’m a big fan of Chinese food, but rarely do I try it on my own, and if I do, there’s usually some frozen mix that is involved. Not this week, oh no, I made this dish from scratch. As I was searching through recipes on the Iowa Girl Eats site several weeks ago (great site by the way! ), I found my way to this dish and added it to my list of things to cook. And here’s the thing, the fact that I would have to work with raw chicken was in the forefront of my mind the whole time and yet I proceeded. That’s how much I wanted to try this out. I really dislike dealing with raw chicken (it’s so slimy! ), but I’m so glad I pushed through that for this recipe. The dish comes together extremely quickly. I did my prep work ahead of time by first cooking the rice. While the rice cooked, I chopped the chicken (sigh), and the green onions, and I also bought the steam-in-the-bag broccoli florets, which really made my life so much easier and those got popped in the microwave when the rice cooked as well. Then it was a matter of seasoning the chicken and lightly coating it in cornstarch and cooking it in a pan or wok. Once the chicken is cooked, a garlic-y green onions and red pepper mixture is cooked for a few seconds in the hot pan. Next a sauce of rice vinegar, soy sauce and sugar is added, and then the chicken, broccoli and peanuts are added to the pan. Seriously, that is all it takes! 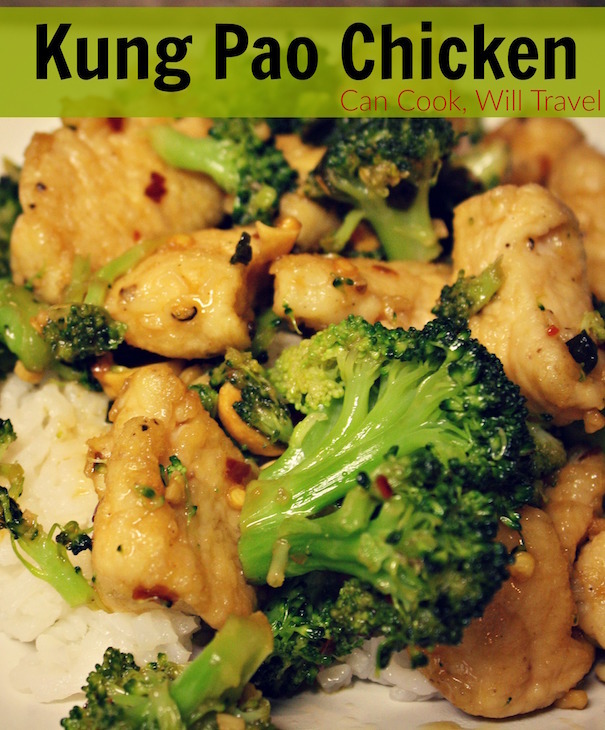 I found this Kung Pao Chicken to be uber flavorful, with the perfect amount of kick to it. 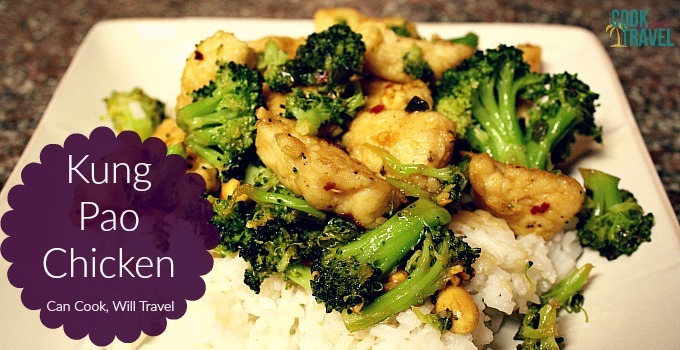 It is so freaking good that you’ll definitely want to try this yourself when you’re craving Chinese food. Click here to find the recipe and step by step instructions…you know you want to! What I was cooking up a year ago: Monkey Bread! This week I was transported to my childhood when I would wake up to the smell of monkey bread whenever I would spend the night at my friend’s house. This Monkey Bread recipe is crazy easy to make and amazingly delicious. Wow it is seriously good…you gotta try it! Happy baking, friends!